Thanks Cable Chick - It was delivered within 24 hours and the product was great! 2.5m 21Pin SCART to Component Video Cable + FREE SHIPPING! Great value 2.5m SCART (Male) to Component Video cable. Easily connect your SCART devices to any Component Video compatible product. Please note that this lead will only transmit Component Video signals, with no Audio signal. As this cable doesn't support audio it can be used in both directions, SCART to Component and Component to SCART. - High quality Nickle Silver Plated Connectors. 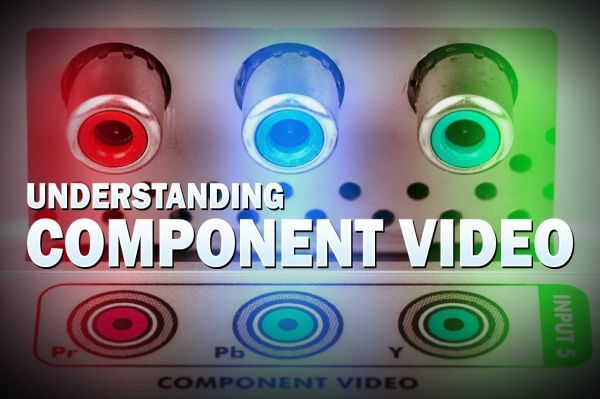 - Component Video for the best analog picture quality. - Colours: Black cable with Silver Connectors. - Leave the existing SCART to Composite (RYW) hooked up while changing the settings. It's the only way you can see the menu while you're changing the output settings. - Press "SETUP" on your remote. - Highlight "SYSTEM SETUP" by using the up and down arrows, then press select. - Highlight "SYSTEM SETTINGS", then press select. - Highlight "PICTURE SETTINGS", then press select. - Highlight "VIDEO OUTPUT" then press select. - Highlight "YUV" (this is the other name for component), then press select. - Change the cable over to the SCART to Component and enjoy!" Thank you. I just took delivery of my cable. I will certainly be recommending your service to people I know. Again thank you for the fast service and look forward to buying from you again.